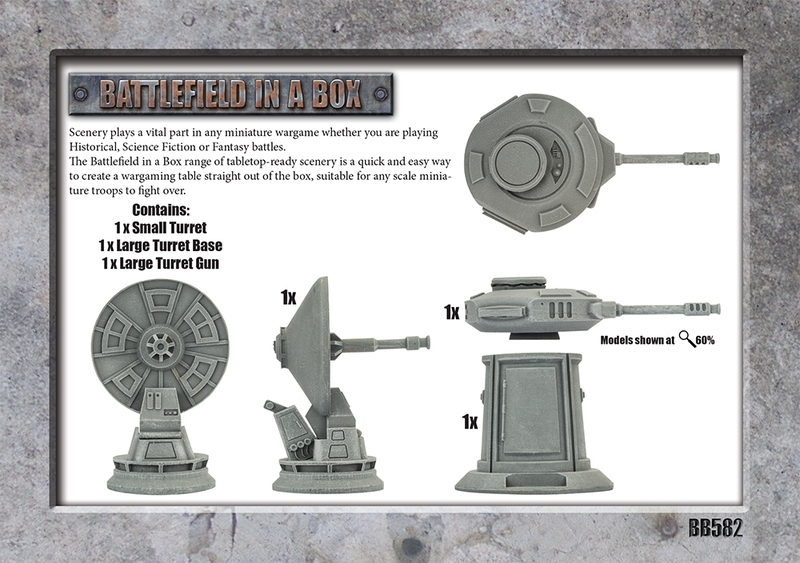 The second wave of releases provides your sci-fi enviroments with powerful technology to ensure your forces survival. 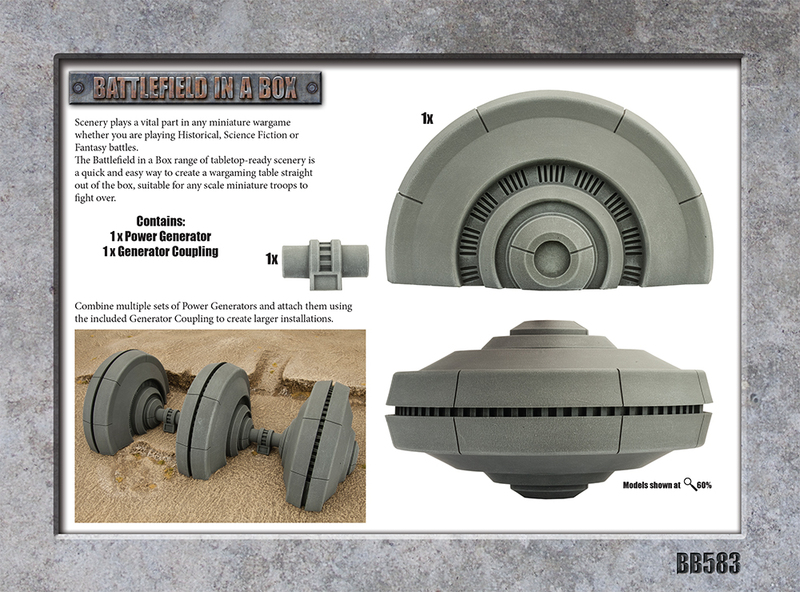 The massive Power Generator harnesses alien energies to power your encampments, drive your industries, or charge durable planetary shields. 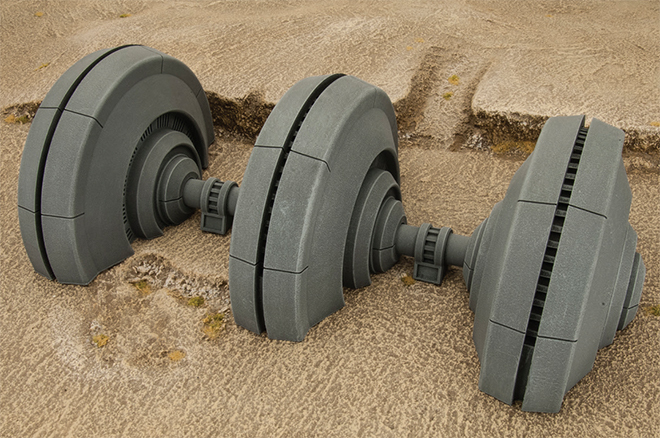 Each Generator set comes with a Coupling so you can connect multiple Generators together to create a large installation. 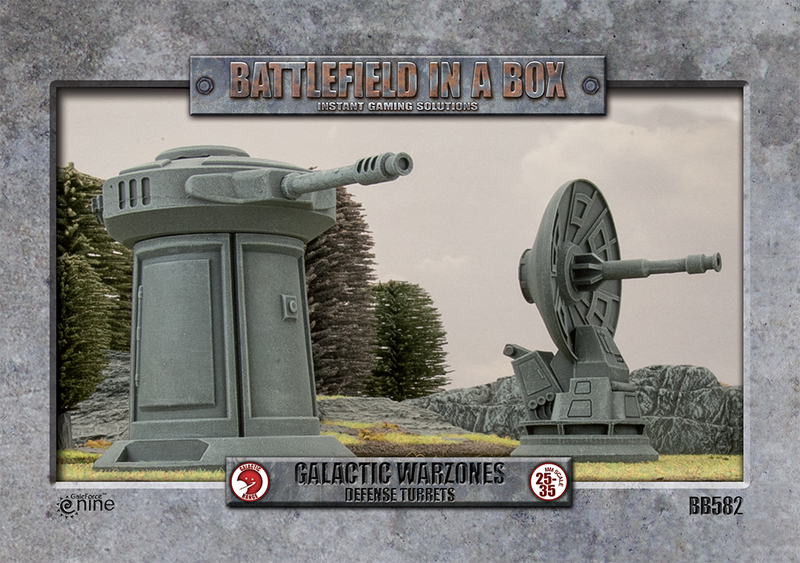 Defense Turrets are the perfect emplacements to protect your territories with two powerful cannons. 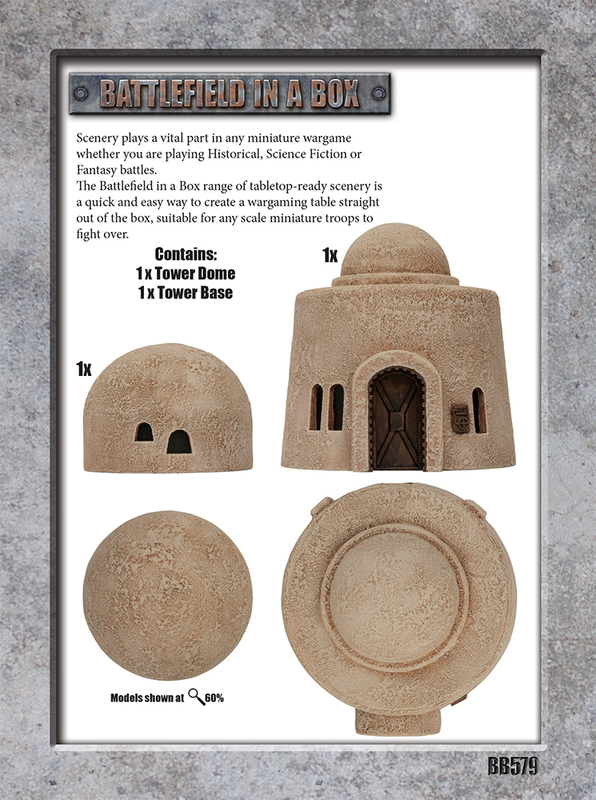 Finally, Objectives (not pictured) accents your battlefield with three tech objects for your forces to defend or claim; a security desk, a holographic projector, and a command table. 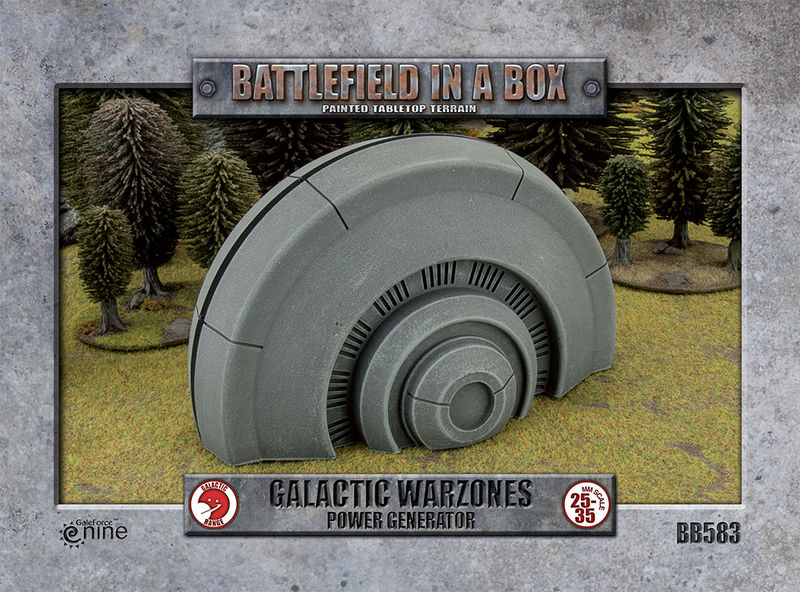 The third wave of Galactic Warzones releases will included a fortified Bunker to shelter your troops from enemy fire and a set of Storage Crates to provide cover for your soldiers while transporting valuable cargo or smuggled goods. 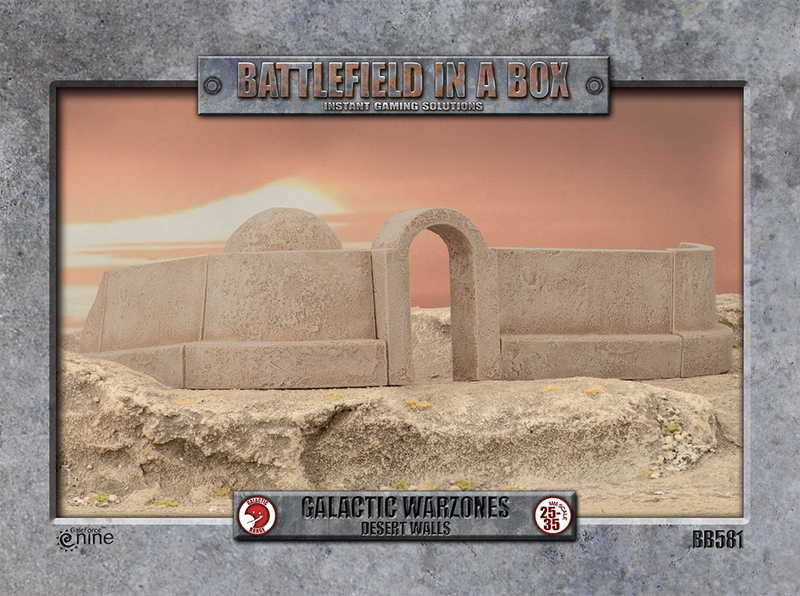 Battlefield in a Box terrain looks great on GF9’s new Grassland / Desert Double-Sided Neoprene Gaming Mat. 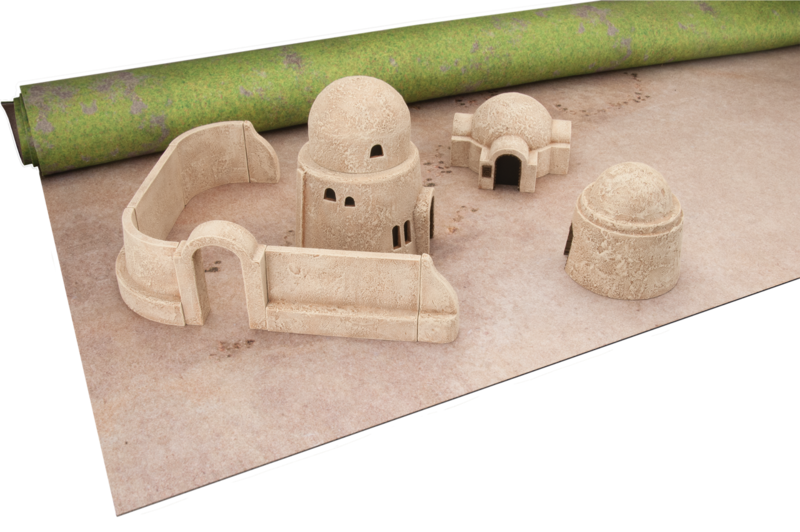 This 6’ x 4’ playing surface pictures a green grass surface on side and sandy desert surface on the other. 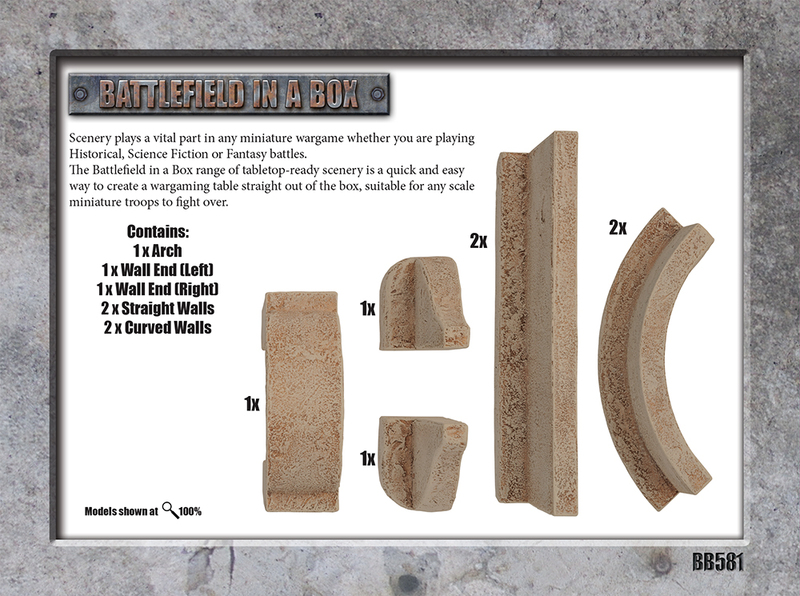 This beautiful game mat is available now in stores and from the GF9 Online Store. 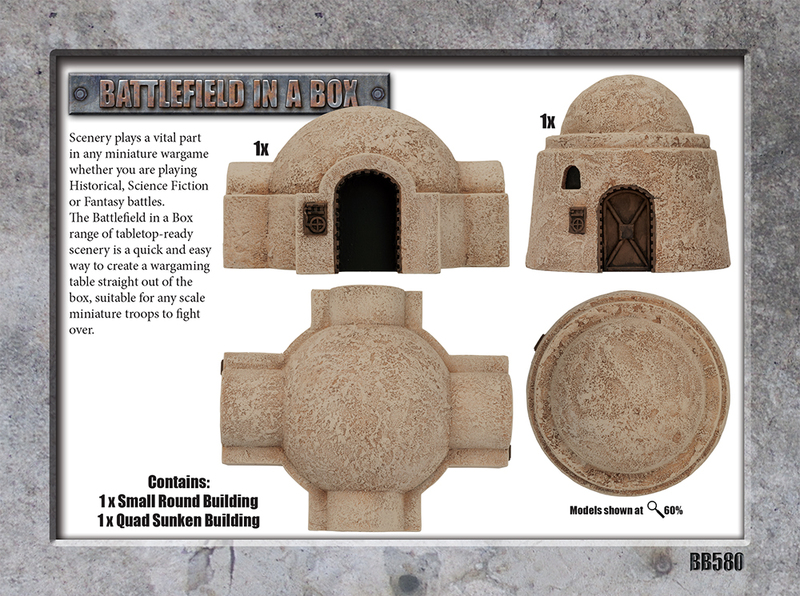 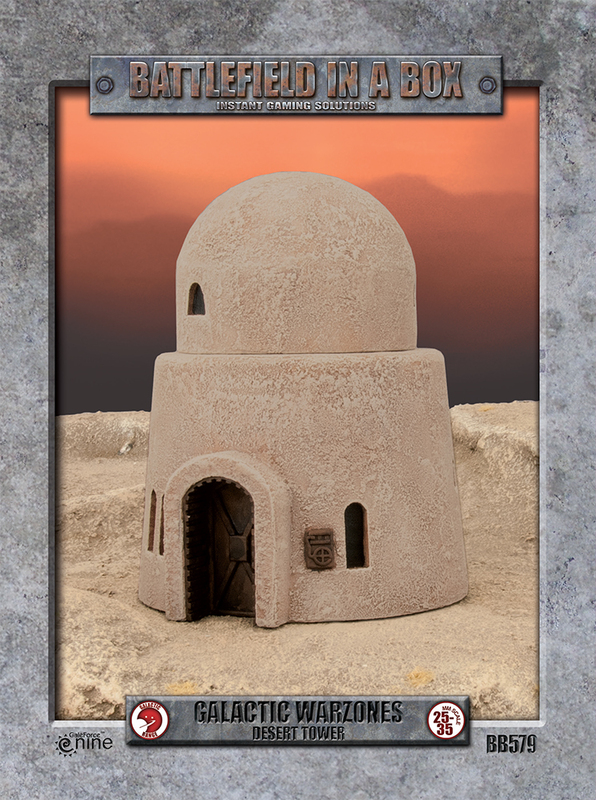 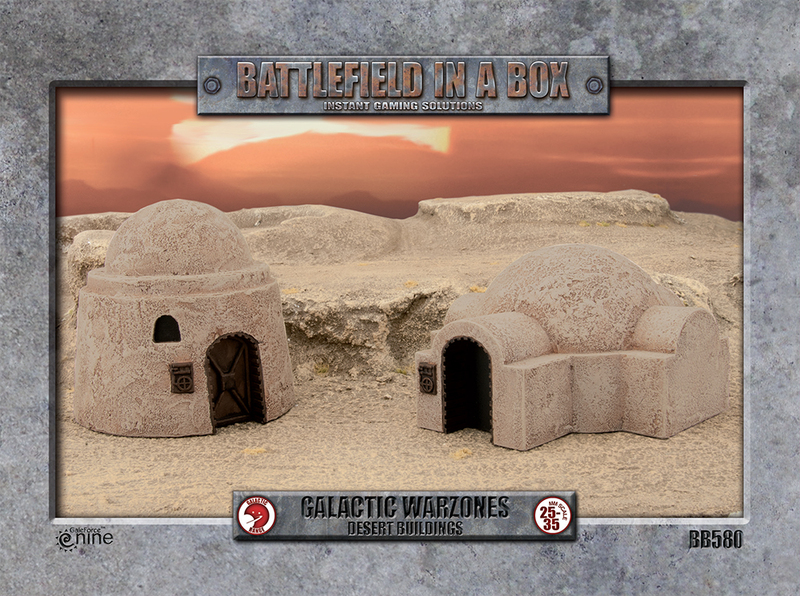 Look for these and other Battlefield in a Box - Galactic Warzones terrain sets when they arrive in your galaxy.